To cook gyoza, heat a frying pan over medium heat and add in just under a tablespoon of oil. Working in batches, place gyoza, flattened side down, in pan and cook for 3-4 minutes, until bottom is browned and crisp. With the lid for the pan in one hand, pour in 1/8 cup of chicken broth and quickly place lid on pan. Continue to cook, covered, for 2-3 minutes, or until broth has dissolved. 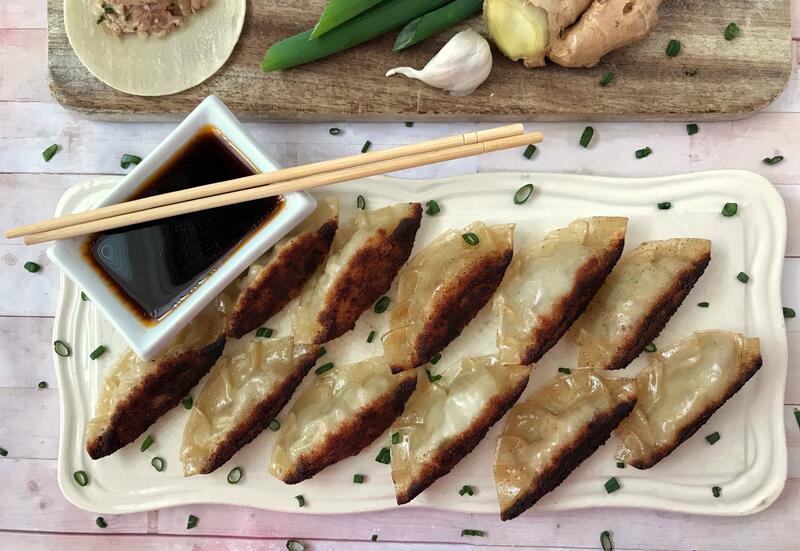 Using a spatula, carefully remove gyoza from pan, as they could be sticking. Repeat for remaining batches. Published: June 12, 2018, 5 a.m.